The government through the Ministry of Women, Community and Social Development (M.W.C.S.D.) 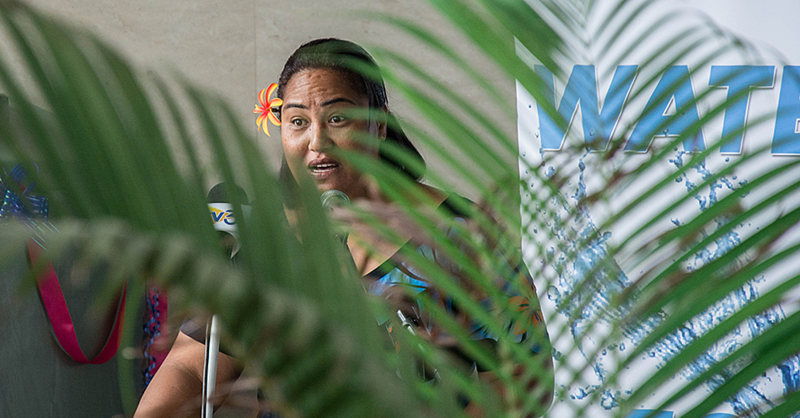 is moving to address the issue of child vendors in Samoa. Through the Youth Employment Programme (Y.E.P.) funded by the U.N.D.P, a one-week training was held in partnership with Small Business Enterprise Centre (S.B.E.C.) for some of the families and parents of children who are often seen hawking goods on the streets of Apia. 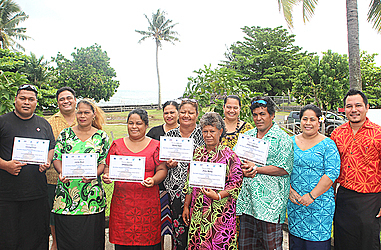 Held at the Matagialalua hall in Apia, the training ended yesterday with the presentation of certificates to acknowledge their participation. Nanai Sovala, A.C.E.O. of M.W.C.S.D. said the idea is to help vulnerable families in the community. “This is a new programme that aims at uplifting and enhancing the capacity of those people who are vulnerable so that they are able to tap in to other options to help them and their families,” he said. “For example, throughout this whole week, we trained them on how to do other businesses such as hand printing materials, carving and other handicrafts. Nanai said they targeted families who are vulnerable socially, environmentally, physically and economically. Eleven families started the project. Only six graduated yesterday. How did they select the first lot of families for the programme? “We have a database of all the people that we see as vulnerable. We’ve done a number of surveys and that’s where we get the information for this database,” said Nanai. “We’ve done research especially around the town area. But we are now extending it to cover the rural areas as well. In addition, there was also a study conducted by the I.L.O. so from that study, we identified up to eight hundred unemployed people. And we made our selection from there. Successful participants will receive monetary assistance to start their businesses. Each participant will get $3,500 but they will have to follow a strict criteria. “The most important thing is their commitment to the project and also the sustainability. They made proposals to us about the kind of businesses they want to start and we will not give them the whole amount of money. “We will give them some to start up their businesses and save the other to support them later on if they need more tools or other things for their businesses. Lastly, Nanai believes that with anything in life, you always have to start somewhere. And for him, this is the start of many more programmes to tackle the issue of child vendors in Samoa. “This is a new and small programme and we still have a long way to go. But we are looking at expanding this programme. We are finalising the strategies and from there, we will see exactly where we can go from there. “The Ministry has been working in partnership with other agencies to come up with a lot of programmes to address the issue. “There is also another programme which will be announced next week to address this issue. “What we are doing here, is to start by helping out the parents and the families of the kids selling things on the streets, hoping that it will make a difference. We’ve had a couple of programmes in the past as well. “But we are hoping that this will help the families in a lot of ways. “The main objective of this programme is to help and uplift the standard of living for the vulnerable people in the communities. “We are glad that we can make a difference in these people’s lives. 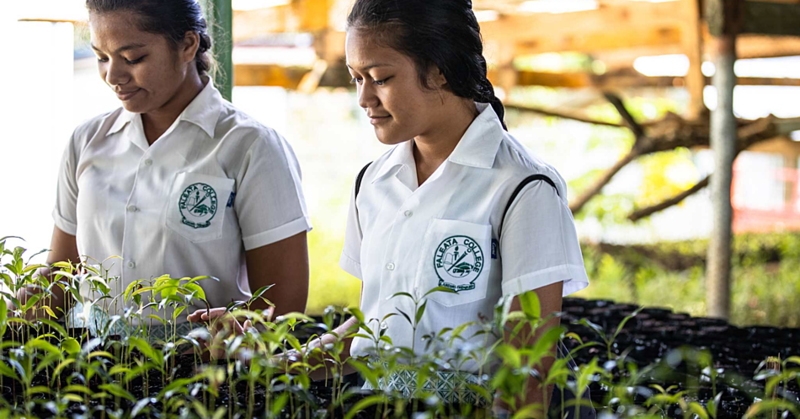 I know opinions vary when asked about poverty in Samoa, but for us, and this is also from the point of view from the government is that, if we can raise people’s standard of living by one or two percent, that’s really good. “So these people, if they continue and follow what they have been taught during the trainings and be committed to their own business, they will no longer have to struggle. “We will continue to support them and the businesses that they run to ensure that they are committed.